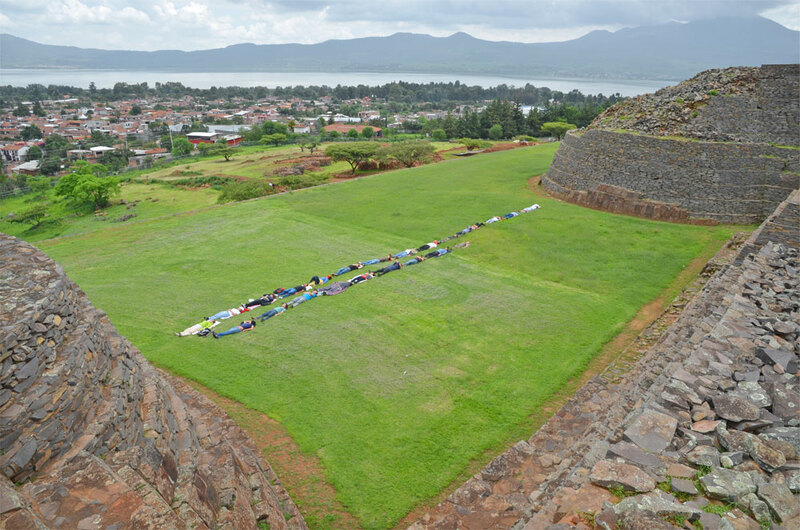 Silent Sky Project#51 July 25th 2012, 1.22 – 1.52 pm, 24 participants, Tzintzuntzan, Mexico. Students from Mexico, Equador, Venezuela, Argentina & China, attending the summer workshop by Rob Sweere at CMMAS, Morelia, looked at the sky in silence. At a pre-Columbian archaeological site at Tzintzuntzan. This name means: place of hummingbirds. Thanks to: Rodrigo Sigal, CMMAS.org, Mondriaan Fund.